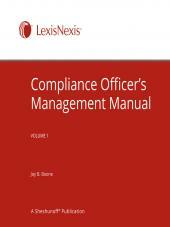 Show the regulators that your institution puts a premium on BSA/AML/OFAC compliance. 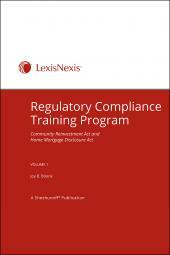 The Bank Secrecy Act has never been a bigger concern to regulators and remains a minefield for financial institutions. 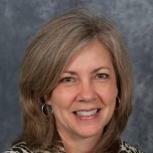 One of the fundamental requirements of the Bank Secrecy Act is the designation of a BSA officer. The BSA officer is responsible for administering your institution’s anti-money laundering program and ensuring that your staff knows what their responsibilities are. 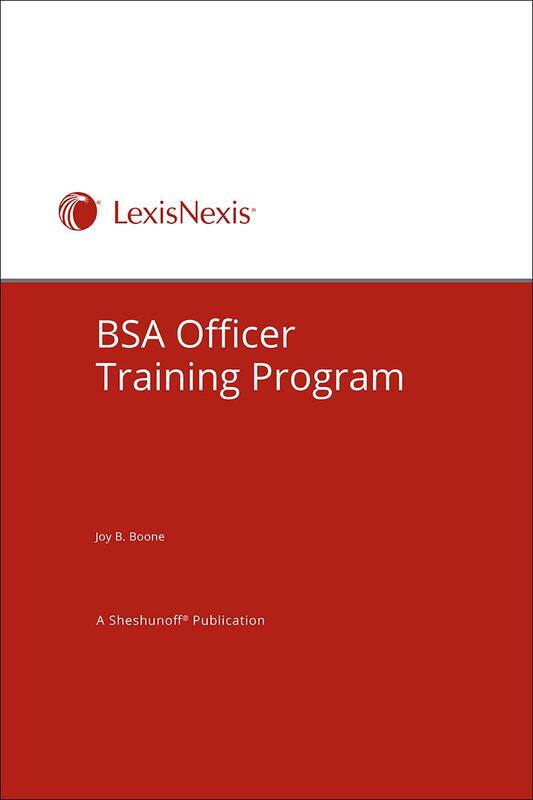 The Sheshunoff® BSA Officer Training Program provides self-paced training that gives your BSA officer the information and skills needed to administer this critical function. 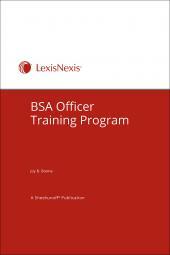 This self-paced training program is a cost-effective way to train your BSA and compliance officers. And it’s all done right in your bank at the student’s own pace and convenience. Because the training is self-paced, more is learned and retained, and the manual later becomes a handy reference to refresh the user’s memory and get fast answers. 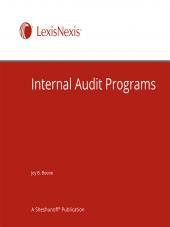 For bulk or volume purchases, contact your LexisNexis account representative.